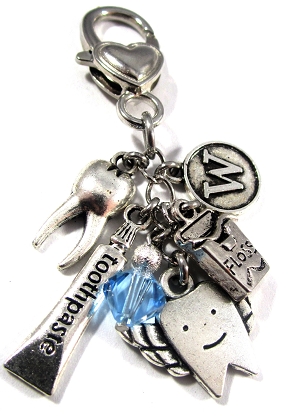 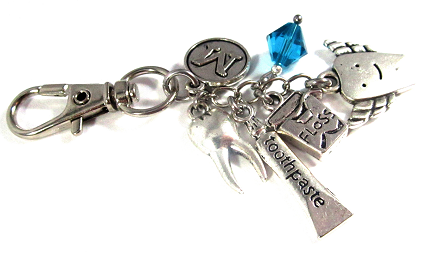 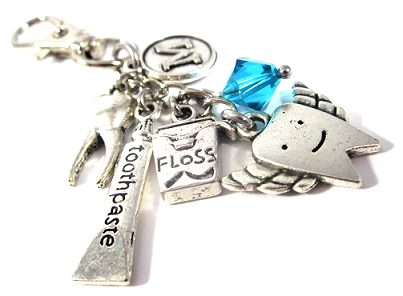 Perfect gift for your favorite Dentist or Dental Hygienist ! 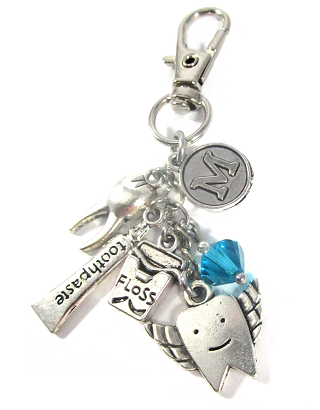 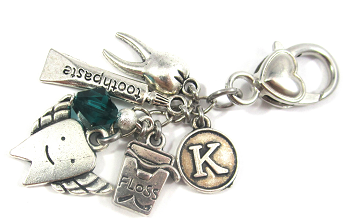 This beautiful purse charm, key chain or badge ID Holder will come standard with the tooth, toothpaste, floss, & tooth fairy charms with the option to customize by selecting the Clasp, Initial, Style & Swarovski Birthstone Crystal. 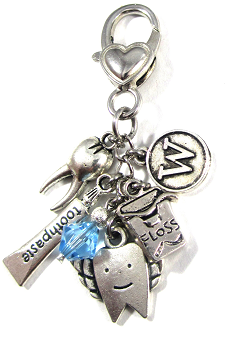 This handmade dangle is approximately 2.5" from end to end.